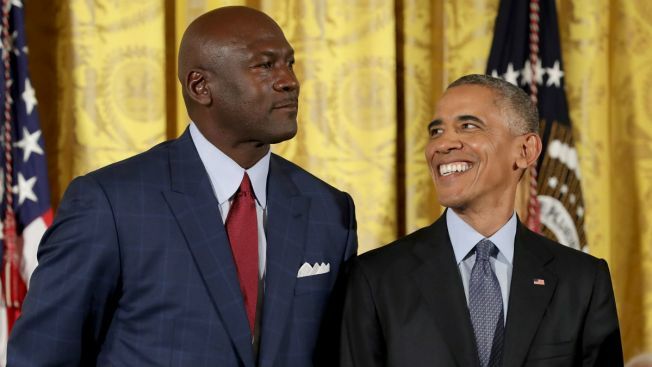 In this Nov. 22, 2016, file photo, President Barack Obama smiles up at legendary basketball star Michael Jordan before awarding him the Presidential Medal of Freedom during a ceremony in the East Room of the White House. NBA fans have debated for years whether LeBron James or Michael Jordan is the superior player, but now a former president is weighing in on the controversy. Former President Barack Obama, appearing on BBC Radio 4 along with Prince Harry, was asked a series of rapid-fire questions by the prince, and was ultimately asked which player he thought was better. "Jordan," he said. "Although I love LeBron, I'm a Chicago guy." 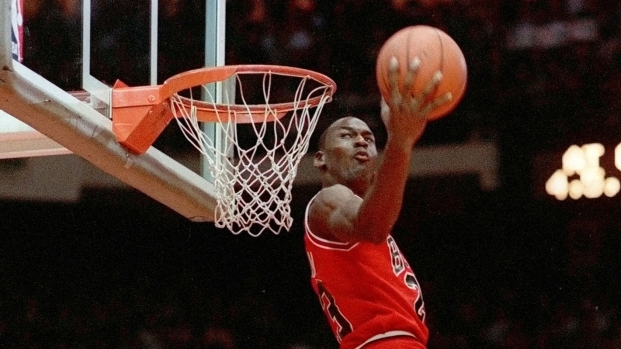 It's not all that surprising that Obama selected Jordan in the debate. In Nov. 2016, the former president presented Jordan with the Presidential Medal of Freedom, and Jordan's hey-day in Chicago occurred at the same time that Obama was getting his start in community organizing.